XS conical seat bolts.For use with wheels with lug bolts that utilize a 60 degree tapered cone seat at the bottom. popular thread size: M12x1.5, M12x1.25, 1/2x20, other sizes: M14x1.5, 7/16, M12x1.75, 7/16, and 9/16, The shank length is 24-28mm and the total length is 48 to 56mm. The hex size is 17mm. These lug bolts fit many Saab, Volkswagen, Audi applications. A lug nut is a nut with one rounded or conical (tapered) end, used on steel and most aluminum wheels. 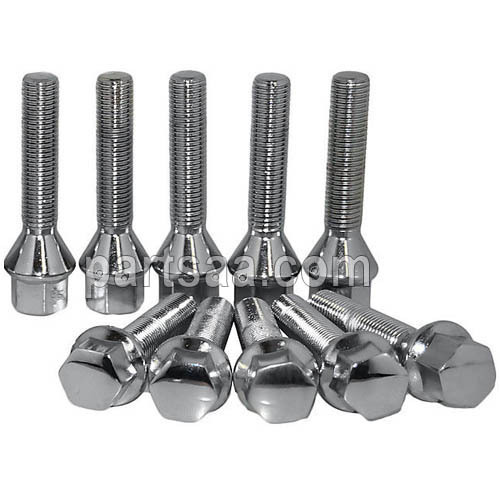 A set of lug nuts are typically used to secure a wheel to threaded wheel studs and thereby to a vehicle's axles. 2. Surface: golden, chrome black Plated. Looking for ideal Wheel Lug Bolt Manufacturer & supplier ? We have a wide selection at great prices to help you get creative. 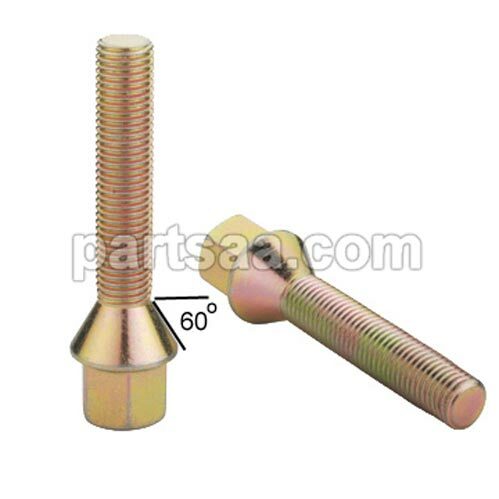 All the Conical Seat Lug Bolt are quality guaranteed. 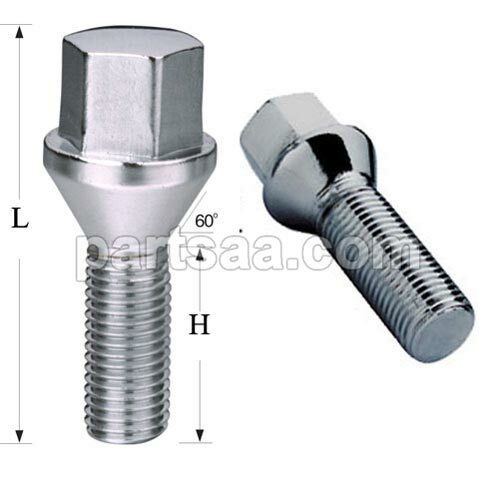 We are China Origin Factory of 17 or 19 Hex Lug Bolt. If you have any question, please feel free to contact us.